A new organization will offer programs to train and provide networking opportunities for women in the US and Japan. Focused on buidling bridges across the Pacific, the organization founded is focused on creating opportunities for women worldwide. In collaboration with programs in Japan and the U.S., founder and executive director Hiroko Tatebe announced the establishment of the Global Organization for Leadership and Diversity (GOLD), an organization dedicated to developing global women leaders. GOLD will lead the way to develop global leaders and create business and civic communities that will explore and contribute to new cross-cultural economic opportunities by bringing together leaders from Japan and the United States. Leading GOLD is a former Executive Vice President, Treasurer and Board of Director of Dai-Ichi Kangyo Bank of California (DKBCAL), Hiroko Tatebe, who will serve as executive director. During her tenure at DKBCAL she was the first and only woman board of director. She was responsible for the complete financial, operations and administrative management and managed successfully professional teams with diverse technical and cultural backgrounds. Among her honors include: "Outstanding Business Woman of the Year" by the Los Angeles Chapter of Women in Business, and an "Affiliated Businesswomen Member of the Year" by the Los Angeles Chapter of National Association of Women Business Owners. "The challenges of 21st century demand extraordinary leaders," said Hiroko Tatebe, founder of the new organization. "Despite gains in leadership diversity, women remain perhaps the world's most under-utilized resource. The time is right for new and innovative initiatives that foster professional development opportunities for women. A larger pool of well-trained and supported women leaders is essential to the global economy." "In the United States," she continues, "even though 'diversity' and 'women's leadership' issues are not new subjects, the ratio of women to men in leadership positions remains imbalanced. In Japan the situation is significantly worse." A 2005 World Economic Forum Global Gender Gap Report measured the extent to which women have achieved equality with men in 58 countries in five critical areas: economic participation, economic opportunity, political empowerment, educational attainment, and health and well-being. The U.S. ranked 17th and Japan ranked 38th in overall score. In the primary area that GOLD is addressing -- economic opportunity -- the U.S. ranked 46 and Japan 52. "The implications of these rankings are evident," explains Tatebe. "Both the U.S. and Japan, the world's two largest economies, need to support initiatives to advance opportunities for women leadership development. Such initiatives are the key to maintaining economic prosperity." Bringing together leaders from Japan and the U.S. to collaborate and open new doors of opportunity. Backing GOLD's initiatives and formation is an impressive advisory board and community partners that includes leaders and organizations from both Japan and the United States. Initially, GOLD will focus on developing relationships with Japan and the U.S. eventually expanding throughout all of Asia. 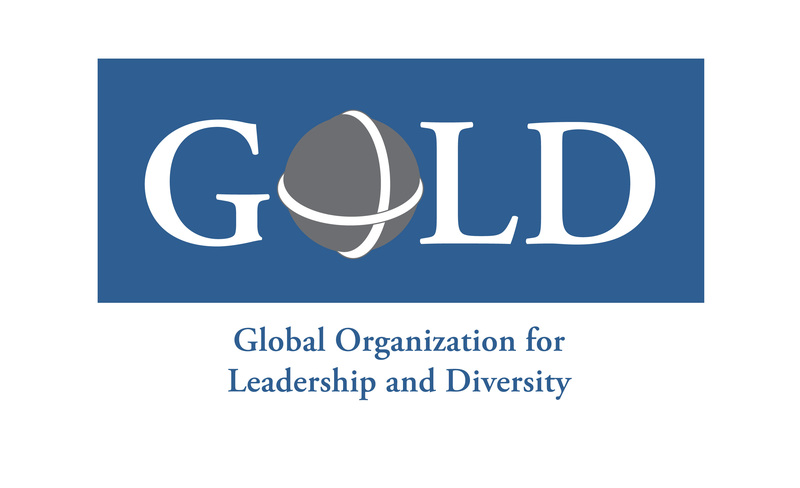 The Global Organization for Leadership and Diversity (GOLD) focuses on developing global women leaders. GOLD will foster professional and leadership growth of current and future business and professional women by providing educational, inspirational and motivational activities and events that build "leadership bridges across the Pacific." GOLD is currently under the fiscal sponsorship of Community Partners' Nonprofit Incubator Project. Community Partners is a 501(c)(3) nonprofit organization which helps social entrepreneurs and visionary leaders initiate important and timely projects that provide innovative strategies and solutions for addressing some of the most pressing problems of our time. GOLD Logo GOLD Launch Press ReleaseFull press release on GOLD launch.